For those who can’t speak those languages: the major change here is that the month names are displayed in a correct grammatical form, both in dates and standalone. 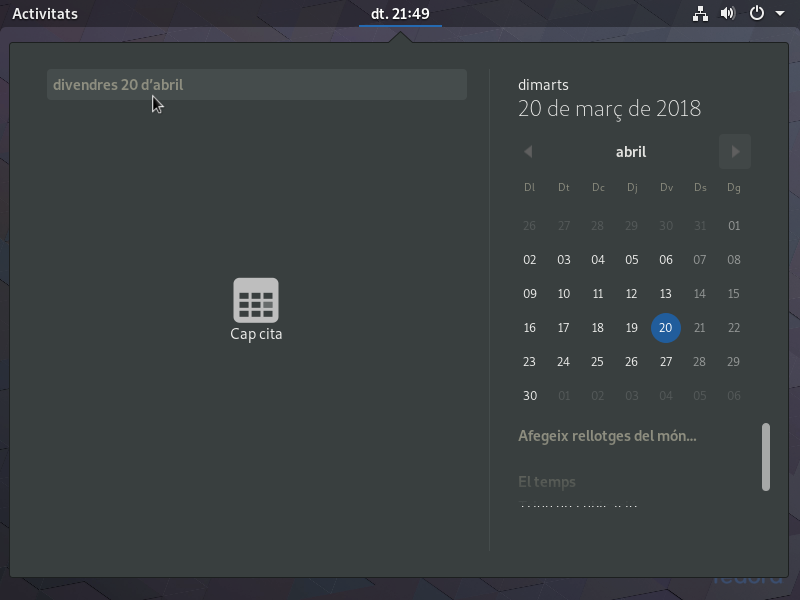 This is a new feature, or rather a new bugfix, in GNOME 3.28 which has been released on March 14 and pushed to Fedora 28 (prerelease) stable updates today. The series of bugfixes in GNOME was preceded by the similar bugfix in glibc 2.27 released earlier this year. This term must be explained because it is ambiguous. Usually when we say eastern Europe we mean the eastern end of our continent (as opposed to western, northern, southern, and, last but not least, central). But in this context I mean the eastern half of Europe (as opposed to western, and nothing else). I often strongly emphasize that this feature is not just for Slavic languages but also for other language groups of our region: Baltic, Greek, partially also Finnish, and even some western languages like Catalan or Scottish Gaelic. Please note the difference between the nominative name for March (ožujak) and its correct genitive case as used in date (ožujka; literally: of March). 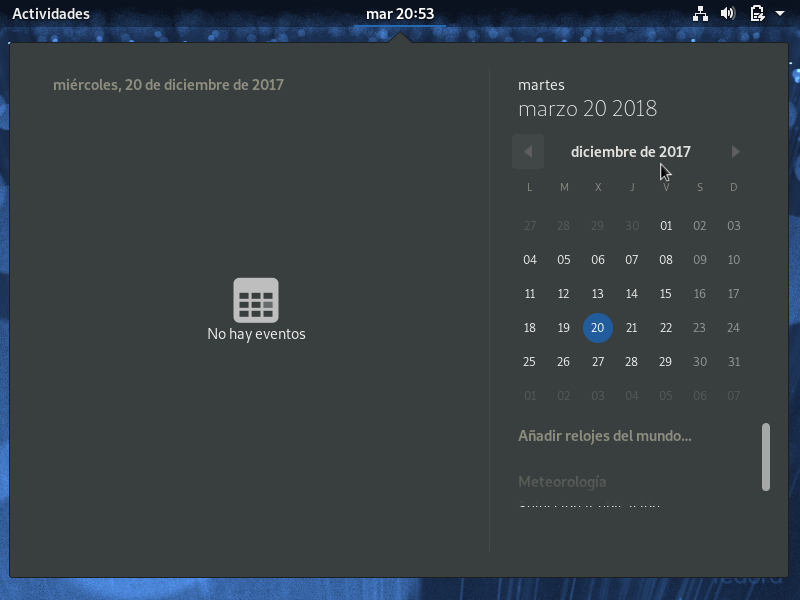 Please note the correct header saying diciembre de 2017 as opposed by the incorrect diciembre 2017 which is displayed by the older versions. Please note the correct Catalan preposition of genitive case: de març (of March) vs. d’abril (of April). 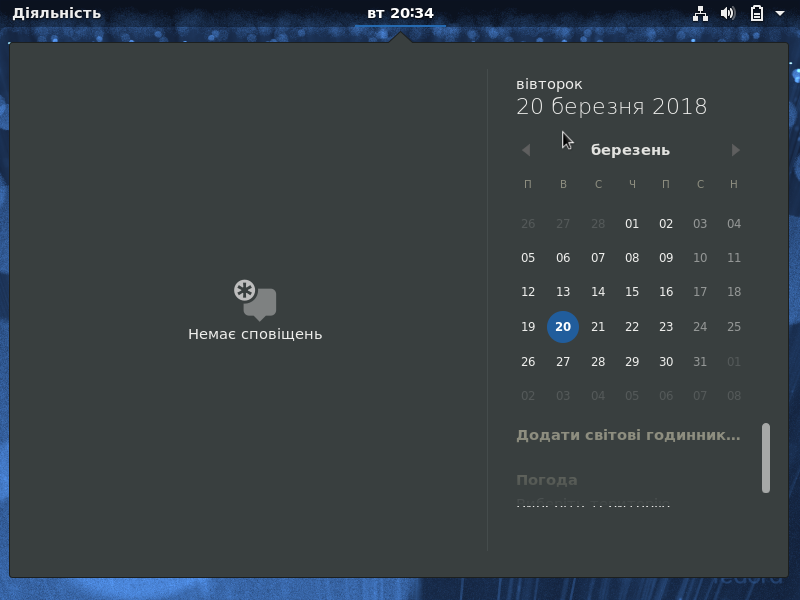 I’d like to thank all the people from Fedora and GNOME communities and from the outer world who supported me in this challenge: Piotr Drąg, Mike Fabian, Zack Weinberg, Carlos O’Donell, Masha Leonova, Ihar Hrachyshka, Dmitry Levin, Igor Gnatenko, Charalampos Stratakis, Robert Buj, Philip Withnall, and more. PS. If some date formats in these screenshots are incorrect please approach the respective translation teams. People learn from errors. Therefore bugs should be made public, not hidden. 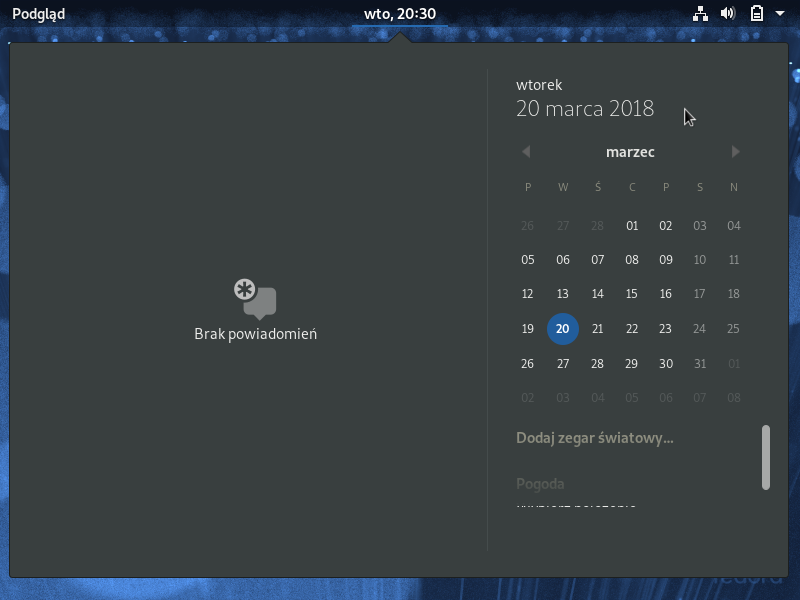 GLib is a utility library originally developed for GNOME but also used by other projects. One of many functions it provides is g_date_set_parse(). It is really smart and simple. It accepts a string to parse but other than many date parsing functions it does not require a date format to be passed. Instead it tries to find numbers and month names in the parsed string and figure out what date they can represent. Of course, month names are recognized according to the current locale. Does the string wrzesień contain it? 8. Sierpień Sie Yes: wrzesień! So, as a result, the string wrzesień (September) is recognized as sierpień (August). Is this severe at all? To be honest, not really. The bug seems to have been around for 20 years now and nobody has complained so far. Parsing dates is not really useful. There are many good reasons why it may not work in localized texts, like incomplete or incorrect translations, varying orthographic rules, Unicode characters updates, etc. Probably no real applications actually use this. Nevertheless, the problem has been reported to GNOME Bugzilla and will be worked on.